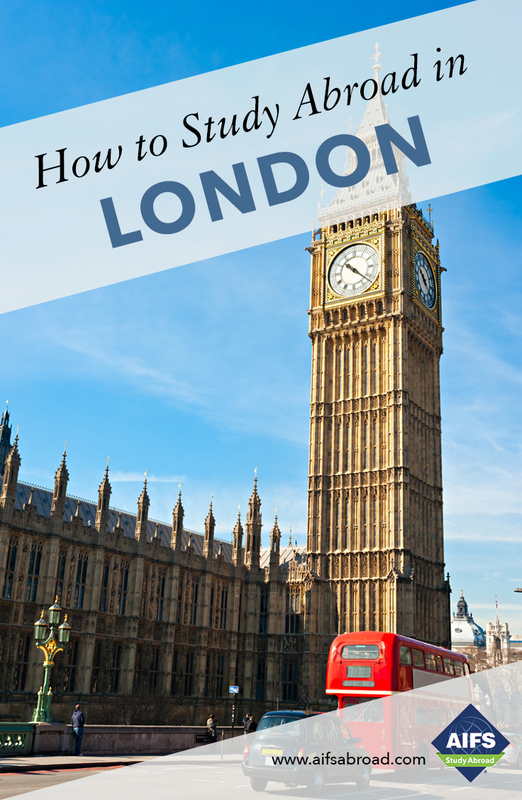 In addition to over 900 courses from a wide range of academic areas, the program at Richmond provides the opportunity for students to select from a core of courses—the London Core—that make special use of the resources available in London. These courses offer students an exciting opportunity to learn about the history, art, architecture, culture, economics and politics of Britain while studying in the very country they are learning about. Many of these classes also satisfy major or general education requirements. To capitalize on opportunities at this unique multicultural University, study abroad students are encouraged to choose at least three of their five courses from the following London Core courses and select the remainder from Richmond’s regular degree course offerings. However this is not required and students are free to select any classes they want from Richmond’s regular degree course offerings, subject to meeting any prerequisites. Courses eligible for the certificate in Fashion Management and Marketing Program are marked with an *. A sample and abbreviated summary of the 900 plus courses offered at Richmond are below. For a full list of courses, including prerequisites, please click here. Courses eligible for the certificate in Fashion Management and Marketing Program are marked with an *. A ‘hands-on’ video course involving most aspects of production from camera work and sound recording to editing and audio dubbing. A studio fee is levied on this course. This course is designed to familiarize students with skills which combine visual research, photographic composition, analogue camera operation and printing. Students provide their own film and photographic paper. The University has cameras for student use, although it is recommended that students provide their own manual 35mm SLR camera. Students study the workings of the art market and a variety of other topics that impinge upon it, such as conservation, restoration, the investment potential of art, and art world crime. Students visit many of the great London galleries and museums. Considers British painting, sculpture, architecture, and interior design since the 1500s, in their historical, cultural, social and political contexts. Students make regular visits to buildings and museums with their rich intercultural collections, to discuss works on site. Examines the art of prehistoric Europe in its social context, the history of archaeological thinking on the subject, and the representation of prehistoric art and society in museums, galleries and site-based heritage displays. The museums and galleries of London with their world-class collections will be used as a learning resource and the course will involve field trips. This course gives students the opportunity to critically engage with some of the major themes, methods, and approaches in contemporary art. Weekly visits to museums, galleries, and exhibitions provide an opportunity for students to test theories put forward in class in front of original art works. Examines the financial needs of corporations and the range of mechanisms available to meet them. Covers topics such as capital budgeting, cost of capital, dividend policy, capital structure, current asset management and portfolio theory. Concentrates on the legal framework within which most business takes place. Topics include corporate problems of raising and maintaining capital by shares; relationships of board of directors to shareholders; respective rights and obligations; relationships of companies to third parties; control and the principle of majority rule. This course explores the structure and nature of organizations and the contribution that communication and human behavior makes to organizational performance. Provides a theoretical and practical understanding of operations management, together with the ability to apply some of its major techniques to practical business problems. Competition and Strategy Focuses on strategic analysis and evaluation, long-range planning and policy implementation. It outlines the basic strategic analysis models and uses case study analysis to relate to both the firm’s internal operations and the environment in which it operates. The course introduces students to the principles and operations of marketing. Course work includes an in-depth analysis of the strategic role marketing plays in contemporary business from new product development, marketing research and target marketing to consumer behavior analysis, advertising and promotion and personal selling activities. The course will focus on the study of consumers and their behavioral patterns in the consumption and purchase of product/services as well as the impact of information technology (social media, digital media) on consumer behavior. See Fashion section for course description. Considers problems and issues encountered in market entry and standardization, contextualization and adaptation strategies. It assesses the appropriateness to new market situations. The course will provide insights into new marketing concepts, tools, technologies and business models to enhance the consumer value creation process. An interdisciplinary course examining the historical, sociological, aesthetic, technological, and commercial elements of contemporary popular music. Audio-visual resources are combined with lectures, and where appropriate, field trips to concerts in London. Introduces the field of cultural studies by examining various concepts of culture, the positions taken in cultural criticism, and the relationship between social and cultural transformation. In this course, “mass communications” is taken in its broadest sense to include cinema, television, newspapers, magazines, comics, and the Internet, as well as fashion and merchandising. The course examines the relationship between texts and the people at various points during the twentieth and twenty-first centuries, from various cultural and national perspectives. Charts the development and critical context of contemporary celebrity and fan cultures. Outlines key theoretical approaches. Explores the topic through a variety of media, from artists like Andy Warhol, Lady Gaga, Eminem, and Alison Jackson, to fanfic and other fan culture artifacts. Considers the creation and reception of celebrity texts: for example, around Harry Potter, and fanhood as a performative critique of celebrity. This course traces the historical development of new media, emphasizing the social, political and cultural context of new media technologies. It introduces students to a number of contemporary theoretical debates for understanding the role of new media in contemporary democracies and their impact on identity formation processes. This course explores how we relate to the world around us and the things we do, through topics such as Conservation, Climate Change, Ecofeminism and Animal Rights. This course traces the multiple connections between the fashion and media industries. Study Abroad students may take this course with the permission of the Richmond faculty advisor. This course covers the fundamentals of fashion and the basic principles that govern all fashion movement and change. It examines the history, development, organization and operation of merchandising and marketing activities, trends in industries engaged in producing fashion, purchasing of fashion merchandise, foreign and domestic markets, and the distribution and promotion of fashion. This course enables students to understand the importance of consumer behavior in the process of marketing fashion and luxury goods and services. This course investigates the development of genre films over a historical period. Specifically, through a study of film criticism and theory, students examine distinct genres from the 1920s to the present. In addition, the course provides an opportunity for students to examine and compare the perspectives of Hollywood and non-Hollywood genre films. Study abroad students may take this course with the permission of the Richmond faculty advisor. This course explores key concepts that have shaped the study of gender in film in the past 50 years. It considers different spectators’ viewing positions and analyzes how historical and social changes in the construction of masculinities and femininities have shaped specific film genres. A variety of issues related to sexuality, race/ethnicity and non-western representations are also considered. This course examines global cinema while considering the extent to which cultural, political, and historical contexts have influenced the form and grammar of film during the last century. During the semester, many international film “movements” are covered, which can include the French New Wave, the Chinese Sixth Generation, and Italian Neo-Realism. In addition, the representations of non-Western cultures from an “insider” and a “Hollywood” perspective are compared. This course is a comparative study of various forms of fascisms from the end of the 19th century through to the modern period. The course concludes with a discussion about the ‘return’ of fascism under ‘other names’. This course surveys the history of London from its early prehistoric origins to the modern cosmopolitan metropolis that it is today. Together with lectures, the students will visit important sites throughout the city that are perfect examples of the development of London. Note: Visits require some travel and entrance costs. Focuses on shared themes from the 1880s to the present day, using a variety of approaches to enable students from different disciplines to participate in the course. Issues around popular culture, gender and ethnicity will be looked at, as well as peoples’ responses to major events like the Depression and wars. The aim of this course is to examine Saxon and Viking Society in England following the first Saxon invasions and settlement after the Fall of Rome. It concludes with the Battle of Hastings in 1066. Where possible classes will be supported by field trips. This course examines the history of international film, its proactive role in society and its usefulness as a historical resource, with a focus on key moments and themes made important for aesthetic, economic, cultural, political, social and technological reasons. This course examines the causes, consequences and significance of empires throughout history from a broad range of comparative and international perspectives. Where possible the course will make use of museums and collections within London. This interdisciplinary course addresses the vitally important and complex phenomenon of contemporary globalization. Political, social, economic and cultural aspects of globalization are discussed, and core themes of globalization debates are addressed, such as convergence, nationalism, and inequality. British Politics: Inside Parliament This course will introduce students to the main political institutions in the United Kingdom (the monarchy, the executive, parliament, political parties and electoral systems) and to important debates in contemporary British society. Classes are supplemented by 10 sessions in the House of Commons with a Member of Parliament. Beginning with an overview of London’s historical myths and fictions, this class exposes students to a variety of writers committed to exploring the many lives of a city undergoing complex transformations. From postmodern obsessions to multicultural landscapes and post 9/11 anxieties, different voices and visions, provide insights into our understanding of contemporary London. The first half of the course will survey some of the major texts on which modern Fantasy literature draws, including Beowulf, Arthurian texts and selections from works by Shakespeare, Milton, Jane Austen and Lewis Carroll. The second half will focus more intensively on a few major fantasies from the past 120 years and their filmed adaptations, including works by Bram Stoker, J.R.R. Tolkien, and J.K. Rowling. This course explores the monotheistic religions of the Near East (Judaism, Christianity, and Islam), those of India and the Far East (Hinduism, Buddhism, and Taoism) and the ‘new-age’ faiths. See London Core Courses section for course description. An intermediate performance skills course that focuses on developing the voice and body through group work consisting of improvisational exercises, the use of stage space, basic blocking, and the interpretation of character and text. This course provides historical and theoretical contexts to Shakespeare’s plays and approaches them with a variety of different critical methods. Shakespeare in performance is an integral part of the course and students are expected to see productions of most texts studied. An additional fee is required for outside trips. Richmond offers a wide variety of courses, many more than can be listed here. For a full list of courses available in your chosen semester, please visit the Richmond website. You can also use the website to ensure that you have the required prerequisites or their equivalents. Drawing is used as a basic exploratory tool to examine London as the site for both subject – in particular, the River Thames - and as a research resource for the practice of drawing, especially the specialist departments at the Victoria and Albert and the British Museum. A studio fee is levied on this course. Intended for students who have acquired graphic skills in drawing, illustration, and computer graphics or who have experience of photographic printing. It aims not so much to give in-depth knowledge of particular printmaking processes as to stimulate a creative response to all areas of image making that involve printing. A studio fee is levied on this course. This course focuses on the theory and practice of communication design, with emphasis on type-based solutions. It introduces students to the concept of graphic design as a social activity and projects include book design, grid systems and poster design. The course provides students with the core foundations and practical skills required to design a fully functional and interactive website. It offers a snapshot of the brief history and current status of the medium, and practitioners working within it. This course focuses on the study and application of image within the practice of communication design. Typical works include identity and logo design, pictograms/signage and poster design. This core course explores the ways we can interpret and appreciate different types of art across cultures. This course examines the history of designed objects of all types and their place in material and visual culture studies. Considers British painting, sculpture, architecture, and interior design, in their cultural, social and political contexts. Students make regular visits to buildings, museums, with their rich intercultural collections, to discuss works on site. This course discusses issues of varied economic prosperity, its measurement and policies that can help improve living standards of the world’s poorest inhabitants. The course will enable students to understand theories of entrepreneurial behavior, innovation and wider societal issues and enable them to relate such theories to practice. Focusing on financial investment, the course familiarizes the student with a range of financial instruments and capital market operations, including new issues, trading, and the role of financial intermediaries in the investment market. This course focuses on the role of money and other financial instruments within the macro economy. The operations and behavior of commercial banks and other financial institutions is examined from a strategic viewpoint, along with the role of central banks and regulators. Taking a global perspective, the course focuses on the basics of multinational financial management from an international finance perspective. The course also covers foreign exchange markets, multinational accounting, foreign exchange risk, strategies and tools for managing exchange rate exposure, import and export finance, and multinational financial management. This course provides students with an overview of the history, methods, strengths, and limitations of economic and political risk forecasting. It provides a managerial perspective into managing the structure and operations of multinational corporations (MNCs) in the global business environment. Major managerial issues are studied from the MNC’s perspective and the problems of planning and executing business strategies on a global scale are analyzed. The course provides an overview of the legal issues underpinning commercial transactions with a strong international component. Provides students with an understanding of the concepts and key issues of corporate governance, corporate accountability, corporate social responsibility and corporate sustainability. The course provides an in depth study and application of advertising and its role in marketing strategies. The course addresses the roles and processes of physical distribution, channel management, and retailing. This course focuses on analyzing ethical considerations within the fashion industry, whilst also exploring changes in practice, communication and consumerism and the diversity of stakeholders in the supply-chain of this industry toward sustainability movements. Seeks to produce creative learners who have a strong industry focus and awareness of contemporary issues, who can offer insight to the local, national and global marketplaces with an entrepreneurial outlook and considered critical perspective. Emphasises the practical relationship between creative ideas and commercial practice that is central to successful fashion retailing. Addresses the complexity of this subject and aims to develop knowledge and understanding of the fashion industry, providing an exposition of the principles of the buying and merchandising functions within a retail organization. It will also focus on the sourcing and range planning aspects in order to achieve the company’s positioning and budget objectives. This course is designed to give students a systematic overview of product development and the trend cycle in fashion, its operation in relation to the industry’s specialist sectors, and to introduce the creative and commercial functions of the fashion forecasting process within the fashion industry. Students will gain an insight into the structure of the luxury goods market and the impact that market change may have upon future prospects and opportunities. Considers the nature of the luxury product and the competitive advantage that it provides to the delivery of quality, design, image and distinctiveness. The luxury brand concept and definitions are critically examined in full and the various conceptual frameworks that link the luxury brand market to the market for normal goods is explored. Examines the fundamentals of fashion and the basic principles that govern all fashion movement and change. Also covers the history, development, organization and operation of merchandising and marketing activities, trends in merchandise, foreign and domestic markets and the distribution and promotion of fashion. This course explores the fundamental principles and tools involved in the professional practice of advertising. The course explores public relations, advertising and journalism. This course introduces key thinkers, topics, case studies and theoretical frameworks related to the field of cultural studies. Films, fashion, art, graphic design, video, music and other media objects will be analyzed. This course examines the theory and practice of writing for PR and advertising. Students will have a variety of assignments where they will try their hand at writing PR materials and advertising copy as well as a persuasive business proposal. Examines the theory and practice of contemporary public relations. Topics include: planning, the selection and use of appropriate public relations tactics, evaluation, how to handle media interviews and self-presentation skills. Students will examine and evaluate a real PR campaign and develop, budget, propose tactics for, evaluate and present a theoretical public relations campaign. Students are guided through the creative processes of writing scenes for the stage, T.V., and film. See Journalism section for course description. Deals with adaptations from literary texts, in the broad sense – novels, plays and comic books – to cinema and television. Explores the creative and practical aspects of script writing and advanced video production. The course is intended for students who have experience of video production and want to expand their knowledge and skills. Students will create and produce a video, starting from the inception of the idea through to the realization of the idea as a finished film to be screened at the end of the course. A studio fee is levied on this course. Analyzes the history of fashion from a sociological perspective – covering the period from the beginning of the modern period to the present. Relationships between dress, fashion, class, political power, ethnicity and gender are investigated. While the primary focus is upon the historical development of western fashion global interconnections are investigated throughout the course. This course is intended to be a comparative study of the various forms of nationalism, dictatorship and democracy that evolved and emerged across Central/Eastern Europe (CEE) during the ‘short’ twentieth century (1914-1990). The course aims to introduce students, by way of specific case-studies ranging from the ancient world to the modern day, to innovative methods of studying the past that utilize popular forms of visual culture and propaganda. Surveys the history of modern Britain during its formative period of industrialization and empire building. This course focuses in consolidating and developing journalistic writing skills. It will outline the essential framework of criticism and the responsibilities and ethics of those who write it, and it will also provide context to help students understand that what they watch, read and listen to now is directly connected to everything that has gone on in the past. This course examines the main legal and ethical issues which media practitioners of the digital age encounter in their working lives. This course examines the major issues that underlie the development of United States’ foreign policy. This course will cover the evolution of international human rights and of the various regional and international treaties and institutions designed for their protection. This course offers an overview of the history and practice of contemporary diplomacy. Foreign Policy Analysis considers the manner in which a state arrives at its foreign policy decisions. Examines the historical beginnings of the European Union, its institutions and its economic performance. The aim of this course is to focus on the historical, political and religious relationships between Islam and the West. Follows the attempt to promote stability, economic development, and democratic systems of government in sub-Saharan Africa, and engages with the core issue of the relationship between the state, civil society, and external interests in the region. Examines aspects of China’s history such as the Opium Wars, the downfall of the Empire in 1911, the growth of nationalism and the ensuing civil war, the rise and decline of Maoism and the role of China in world politics, with particular reference to its increasing economic importance. This course investigates the process of policy-making in modern states. It explores how in the new globalized world governments “import” and “borrow” policy ideas from each other, while analyzing how the different actors – states, bureaucrats, think-tanks, policy-networks, lobby groups, citizens, etc – participate and influence the policy-making process. This course explores the relationship between religion, political identity and its expression between and across nation-state borders. By focusing on a number of religious movements, such as various Islamic revivals and the new Christian right, this course will examine the various ways in which religious traditions are used as identity-building vehicles. This core course develops an understanding of basic mathematical concepts and their presence in a range of contexts and applications. Topics such as interest rates, interpreting graphs, probabilities associated with decision making and mathematics in the environment and the creative arts will be covered. An introductory course in probability primarily designed for business economics and psychology majors. The course coverage will include: descriptive statistics, elementary probability theory, random variables and expectations, discrete probability distributions (Binomial and Poisson distributions), continuous probability distribution (Normal distribution), linear regression analysis and correlations, elementary hypothesis testing and Chi-square tests, non-parametric methods and SPSS lab sessions targeting applications of statistical concepts to business, economics and psychology and interpretations of hardcopies. All practical work will be produced using SPSS statistical software. Continuing MTH 4120, the course is concerned with inferential statistics. It covers sampling distributions, point estimations, interval estimations and estimating confidence intervals for populations and proportions, hypothesis and significance testing, goodness-of-fit test and Chi-square test, one-way analysis of variance (ANOVA), applications of non-parametric statistics, linear regression analysis. All practical work will be done on SPSS statistical software. This course provides an introduction to game theory and its relation to decision methods in business. Covers: Essential mathematics (calculus, differential equations, linear algebra and elementary probability theory), mathematics in finance (Central Limit Theorem and Brownian motion, Stochastic calculus and random behaviour, Markov Processes and Martingales, Wiener process, Monte Carlo simulation of pricing and simple trading models), Binomial and Black-Scholes Models and their significance in asset pricing and analysis of financial derivatives. This course examines theoretical viewpoints about intelligence, personality structure and its development, emotion, motivation, and clinical applications for personality change. This is an interdisciplinary course that introduces students to current research and debates in the areas of language and communication. Combines lectures, case studies, and audiovisual sessions to introduce students to the field of clinical psychology, psychiatry, and mental health work. The aim of this course is to investigate the applications of psychology in educational settings. Students will have the opportunity to gain an understanding of the ways psychology theories and research have influenced our understanding of child learning and teaching. This course focuses on such issues, including: Is the mind a computer? How much of the mind is innate and how much is learned? Is the mind a unitary general purpose mechanism, or is it divided into specialized subsystems or courses? How do we represent the world in thought? Are human beings rational? Cognitive neuroscience aims to explain cognitive processes and behavior in terms of their underlying brain mechanisms. It is an exciting and rapidly developing field of research that straddles the traditional disciplines of psychology and biology. This course focuses on the science of happiness and wellbeing, integrating findings from Positive Psychology studies and theories. Modern Clinical Psychology implements evidence-based treatments to improve psychologically-based distress or dysfunction and to promote subjective and behavioral well-being and personal development. The course covers the areas of the Roman and Sasanian Empires, their adjoining regions and that of their successor states from 200 AD until 800 AD. The course looks at religious ideas that were rooted in these societies, polytheism, Zoroastrianism, Judaism and the newer religions of Christianity and Islam. See International Relations, Politics and Philosophy section for course description. A general presentation of British society for students who arrive in the country and are keen to know about its way of life, patterns of thought, and socio-cultural background. This course also examines Britain’s changing status in the world and the effect this has had on socio-political attitudes and behavior. Examines the history of the African Diaspora in London over approximately the last 300 years, paying particular attention to changes in the demographic background to this Diaspora and the ensuing debates around the various notions of Blackness. The context to the course is the growth of London as the hub of an imperial system underscored by notions of race, and the subsequent changes to the metropolis in the late 20th and early 21st centuries. A theoretical underpinning of the course is that London is one of the centres of a Black Atlantic, as understood through the works of Paul Gilroy. The course will open up social relations at the heart of Black London’s history, including class, gender and sexuality. London has a long history of ideological movements driven by the conditions of the Black Atlantic, such as: Abolitionism, anti-colonialism, Pan Africanism and anti-racist struggles within Britain; all of these will be within the parameters of the course. Finally, the cultural impact of the Black Atlantic on London will be looked at in all its diversity, including, but not restricted to: literature, religion, music, fashion, language, cuisine, etc. Provides an overview of the theater of European and non European countries. Develops acting skills specifically relating to the camera - i.e. for film and television. Students are also given exercises in interviewing for screen work and screen testing. Examines the classical traditions in British theater, as they are perceived today. If you have not found the course you want, check the Richmond website. Richmond offers many other courses each semester that AIFS students can take, over 900 each year. Please note that study abroad students are not permitted to take the independent study, senior project/senior essay, graduate level (course numbers starting with a 7) or Foundations Program courses listed on the Richmond website.